It&apos;s that moment you realize your family is connecting, and it has nothing to do with technology. It&apos;s that moment you realize you are exactly where you&apos;re meant to be. Together. It&apos;s that moment when you catch up with a friend and just go with the flow. There are countless ways to capture a #BucksCountyMoment. 1. Become the king or queen of the castle at one of the world&apos;s most unique playgrounds, Kid&apos;s Castle in Doylestown. 2. Hug Elmo, Cookie Monster and everyone&apos;s favorite furry friends at Sesame Place. 3. Bring a hammer and strike the rocks at geologic phenomenon Ringing Rocks Park and see what happens! 4. Shop ‘til you drop and head to one of the many festivals at Peddler&apos;s Village, a 42-acre shopping and entertainment destination. 5. Take a deep breath and smell the scent of lavender at Peace Valley Lavender Farm. 6. Indulge in a glass of wine at one of the nine wineries along the Bucks County Wine Trail. 7. Take to the skies and experience an aerial view of Bucks County with the US Hot Air Balloon Team. 8. Kayak by sunset on Lake Luxembourg at Core Creek Park. 9. Indulge in a blissful night at the Inn at Barley Sheaf Farm and then pamper yourself with a spa day in the privacy of your own suite. 10. Learn about colonial history at William Penn&apos;s former estate,Pennsbury Manor. 11. Admire and photograph some of Bucks County&apos;s greatest architecture at one of the 12 remaining covered bridges along the self-guided Covered Bridge Driving Tour. 12. Catch a show at the Bucks County Playhouse in New Hope on the same stage where Grace Kelly, Robert Redford and more got their start. 13. Hit a hole-in-one during a relaxing day at the Neshaminy Valley Golf Club. 14. Cruise the Delaware River and enjoy great food and drinks with Bucks County Riverboat Company. 15. Count how many mules throughout the county you can spot! Bucks County is home to the Miles of Mules outdoor art project. 16. Let the kids light up their world with the Lite Brite board at the Bucks County Children&apos;s Museum. 17. 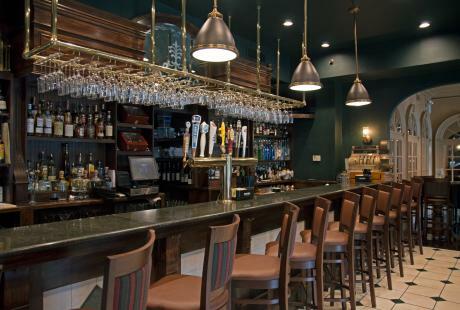 Taste a wide assortment of beers and food at the brand new Doylestown Brewing Company in the heart of town. 18. Visit Boomer, the quirky dog/dinosaur hybrid sculpture in New Hope. 19. Enjoy a train ride through scenic Bucks County on the New Hope & Ivyland Railroad. 20. Pick your own fresh fruit at Shady Brook Farm. 21. Find Bucks County&apos;s largest waterfall among the wooded trails at Ringing Rocks Park. 22. Snack on Chickie&apos;s and Pete&apos;s famous crab fries at Parx Casino. 23. Take a tour of Henry Mercer&apos;s quirky former home, Fonthill Castle. Ask to climb the winding stairs to the top for a unique view of the grounds! 24. Wander through colonial-era buildings at Washington Crossing Historic Park, the very site where Washington crossed the Delaware in 1776. 25. Cool off with a float down the Delaware River with Bucks County River Country. 26. Pack a picnic and enjoy the peaceful views at Peace Valley Park. 27. Take a hike or a horseback ride through Tyler State Park. 28. 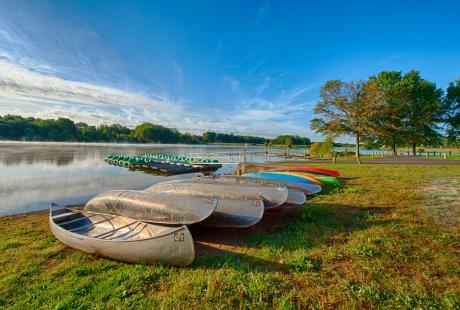 Hit the waters of Lake Nockamixon in a canoe, kayak or sailboat. 29. Take your excitement to new heights with a biplane ride at Van Sant Historic Airfield. 30. Journey along the more than 50 miles of Delaware Canal Towpath that run through Bucks County. 31. Enjoy al fresco dining at some of New Hope&apos;s best restaurants. 32. Browse more than 50,000 early-American artifacts at the Mercer Museum. 33. Check out the larger-than-life Steve Tobin sculptures that stand tall outside of the James A. Michener Art Museum. 35. Cool down with a scoop of ice cream from OwowCow Creamery or Uncle Dave&apos;s Homemade Ice Cream. 36. 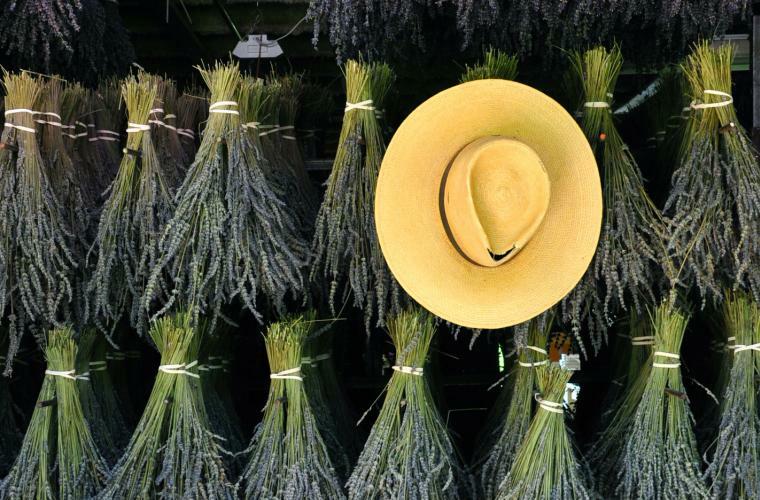 Shop your heart out at Rice&apos;s Country Market. 37. Sample the farm-fresh, locally-sourced food at Caleb&apos;s American Kitchen. 38. Take a breath of fresh air at the top of Bowman&apos;s Hill Tower lookout. 39. Capture the beauty of nature at Bowman&apos;s Hill Wildflower Preserve, a 134-acre tract home to more than 800 species of native plants. 40. Don&apos;t miss the tractor parade at the uniquely Bucks County Middletown Grange Fair. 41. Pet the sheep grazing in the fields on the Thompson-Neely Farmstead. 42. Admire the sailboats that float by the wharf in Bristol. 43. Watch a one-of-a-kind spectacular production at Bristol Riverside Theatre. 44. Cruise past some of the area&apos;s historic farmsteads on the Heritage Conservancy Barn Voyage! Self-Guided Driving Tour. 45. Spend the day fly fishing on the Delaware River. 46. Take a family camping trip to one of Bucks County&apos;s scenic campgrounds. 47. Pick up an ornate, handmade tile at Moravian Pottery & Tile Works in Doylestown. 48. Get a taste of real Louisiana-style Creole food inside a renovated 125-year-old stone church at New Hope&apos;s Marsha Brown Restaurant. 49. Try to contact the supernatural spirits that live in Room Six of the Logan Inn in New Hope. 51. Dance the night away at PARX 360 in PARX Casino. 52. Test your bravery on a Ghost Tour of New Hope. 53. Get your glow on at Monster Mini Golf&apos;s glow-in-the-dark course. 54. Mosey through the colorful, bustling streets of New Hope. 55. Take in a show at Town and Country Players. 56. Stop by Sine&apos;s 5 & 10 Cent Store in Quakertown, complete with an old-fashioned soda fountain. 57. Learn more about Bucks County&apos;s wildlife at the Churchville Nature Center. 58. Visit one of Bucks County&apos;s beautiful shrines to get in touch with your spiritual side. 59. Take a tour of the Pearl S. Buck House to learn more about the Pulitzer and Nobel prize-winning author. 60. Stop for a cocktail at the Hattery Stove & Still&apos;s downstairs bar made from a 1936 Oldsmobile. 61. One of the creepier photo ops in the county, don&apos;t miss the mannequins outside of the quirky New Hope shop, Love Saves The Day. 62. Go horseback riding along beautiful Bucks County trails with Haycock Stables. 63. Bring your fishing pole and take a stroll around the beautifully serene children&apos;s fishing pond at Nockamixon State Park. 64. Pick up some homemade fudge or chocolate-covered strawberries at Skip&apos;s Candy Corner. 65. Take in the naturally-shaped stone sculptures, fountains, bird baths and benches at Steven Snyder Cedar Maze. 66. Join M.O.M.&apos;s; Maxwell&apos;s on Main for a refreshing brew at lunch. 67. Celebrate Christmas year-round at Byers&apos; Choice. 68. Watch the world&apos;s leading manufacturer of handbells in action at Malmark. 69. Reach for new heights at Sky Zone, the world&apos;s first indoor trampoline park. 70. Climb your way to a new adventure at Doylestown Rock Gym. 71. Catch a flick at two old-timey movie theaters, County Theater and Newtown Theatre. 72. 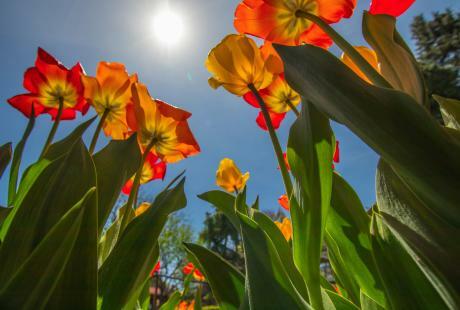 Head to one of Bucks County&apos;s many seasonal festivals and events. 73. Follow Bucks County&apos;s Ale Trail and discover established and start-up brewpubs. 74. Relax on the porch in a rocking chair during your stay at Ash Mill Farm B&B. 75. 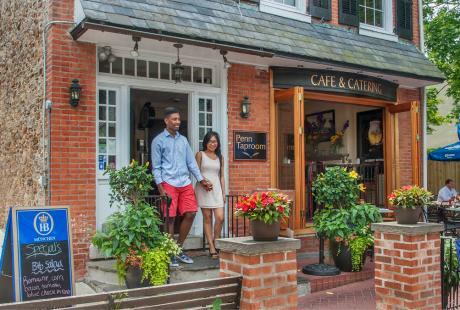 Put on your comfy shopping shoes and walk through the quaint downtown main streets of Newtown, Doylestown, New Hope, Bristol and Quakertown. 76. 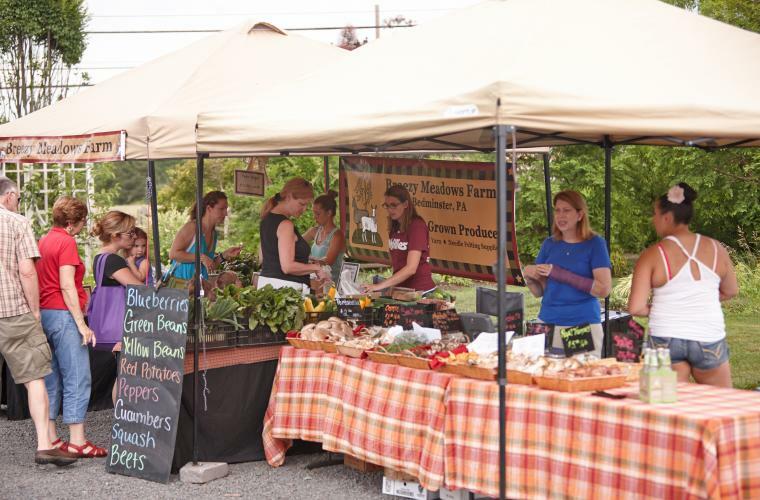 Find locally-grown ingredients at many Bucks County farmers markets. 77. Indulge in deep fried mac and cheese at Havana Restaurant and Bar in New Hope. 78. Bowl a strike at Brunswick Zone XL during a late game of midnight bowling. 79. Dig in to the most important meal of the day: BRUNCH! 80. Grab a bag of your favorite flavor at Bucks County Biscotti&apos;s charming farm-stand in Hilltown. 81. Rock out with an upbeat show at Sellersville Theater. 82. Imagine you&apos;re in the Mediterranean with the delicious cuisine at Carmel Kitchen & Wine Bar. 83. Snap a picture of a Bucks County sunrise or sunset. 84. 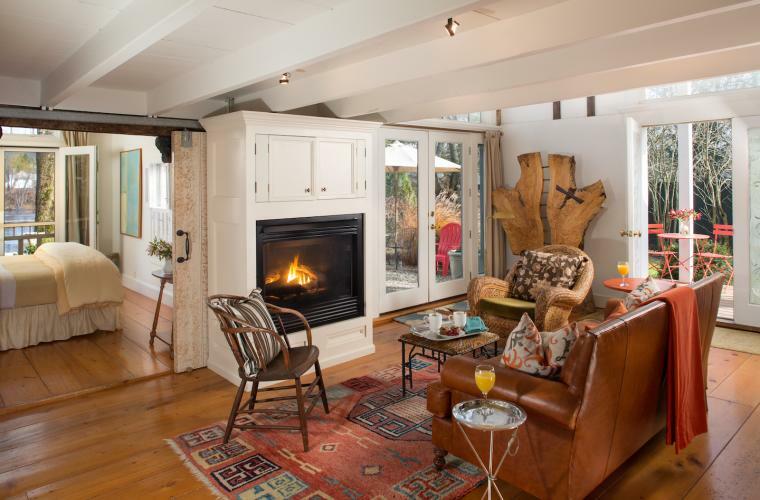 Plan a romantic getaway at 1740 House in one of their scenic waterfront rooms. 85. Leap and jump at BounceU&apos;s glow-in-the-dark Cosmic Bounce on Tuesdays. 86. Visit the serene 9-11 Memorial Garden of Reflection. 87. Explore the Mansions Along the Delaware on a group tour. 88. 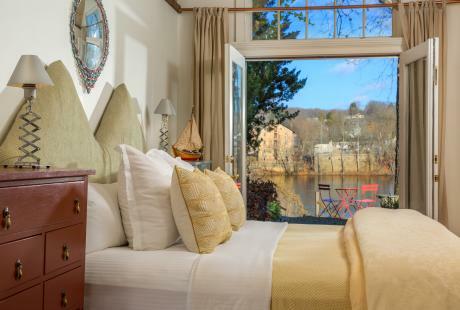 Treat that special someone to a Bucks County weekend getaway at one of our first-class hotels or quaint B&Bs. 89. Distill Bucks County&apos;s Past with two locally-owned and operated distilleries. 90. Dine on a delectable Italian dish at Bella Tori at the Mansion. 91. Try one of the Black Bass Hotel&apos;s unique "From the Candy Shop" cocktails. 92. Enjoy an intimate picnic with wonderful food at the 1836 Bridgeton House on the Delaware. 93. Cozy up with a good book from The Doylestown Bookshop. 94. Uncover the suspect at one of Fisher&apos;s Tudor House monthly murder mystery dinners. 95. 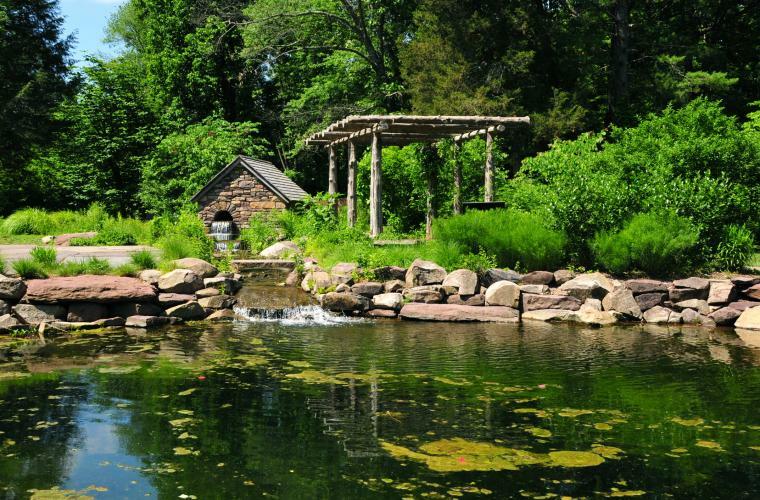 Walk through vibrant gardens with a guided tour at Jerry Fritz&apos;s Linden Hill Gardens. 96. Let the little ones play on Giggleberry Mountain at Giggleberry Fair and then ride the 1922 Grand Carousel! 97. Start your morning with breakfast and tea at The Talking Teacup in their kitchen garden. 98. Have a drink at The Raven during a Piano Bar session. 99. Unwind and enjoy coffee or tea in the trendy atmosphere at The Zen Den. 100. Hop on a bus to tour and taste an assortment of beer and wine at Buck County&apos;s local wineries or breweries through Tastings & Tours. 101. Start and end your visit at the Bucks County Visitor Center in Bensalem to check out cool exhibits and bring home the perfect Bucks County souvenir!